The performance of your car depends on the performance of different parts used in it. That's why, at Maruti Suzuki, utmost attention is given to each & every part used in your vehicle. Even the finest components manufactured needs replacement from time to time. To ensure continued impeccable performance of your vehicle, the spare parts replaced should be same as components fitted in your vehicle during manufacturing. 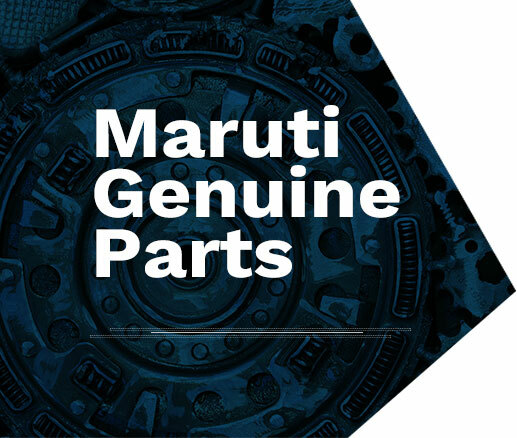 To ensure this, Maruti Suzuki India Ltd. (MSIL) provides replacement of parts under the brand "Maruti Genuine Parts", popularly known as "MGP". Maruti Genuine Parts are precision engineered to the design & specifications of the specific model, hence helping your vehicle give its best performance. Maruti Genuine Parts (MGP) are the only certified parts for Maruti Suzuki car. They benefit you in the long run and enhance your car's performance besides saving your hard-earned money. These parts are tested under various conditions depending on the type & function of the parts. Our Research & Development team along with Quality team works on making the design of each & every part. MGP ensures that you get the best in quality, safety & value for money.